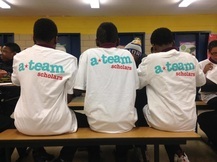 The A-Team Scholars program goal is to increase educational opportunities for students in under-served communities. The program opens doors to higher education by investing in students who consider college to be out of reach. The students are bright and eager to learn; A-Team Scholars inspires them to succeed in school by leveling the academic playing field. 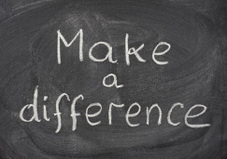 Students in grades 4-12 are awarded scholarship money based on scholastic achievement, character and integrity. They receive $50 for every “A” and $25 for every “B” earned per quarter in Reading, Math, Writing and Science. Thanks to our partnership with the Illinois State Treasurer’s Office, the scholarships are invested in Bright Directions 529 college savings plans, and are available to the students upon enrollment in a higher educational or vocational program. A-Team Scholars alumni are studying on college campuses across the United States, from Illinois to Pennsylvania, and Washington DC to the Carolinas.